Now, as a fellow Muslim, I will be honest to the Malaysians who have given this verdict or those who support it: This is one of the most illogical, insensible and childish decisions I have heard in my life. It is sheer nonsense. Why? Well, first of all, the word “Allah” simply means “The God” in Arabic, and it certainly is not exclusive to Islam. Pre-Islamic Arabs also referred to “Allah,” as the biggest deity above many idols that they had invented in their polytheistic culture. (That is why Islam proclaimed, “There is no god, but only The God [Allah].”) Moreover Arab Christians have been using the term for centuries, simply because there is no other word in Arabic to refer to God. But what if Muslims get “confused,” when they hear Christians praying to “Allah?” Well, nobody’s “confusion,” or lack of comprehension, can justify the destruction of other people’s freedom. Otherwise, should Christian countries ban the usage of terms such as “Jesus” or “Mary,” which are prominent in the Quran, by their Muslim minorities? 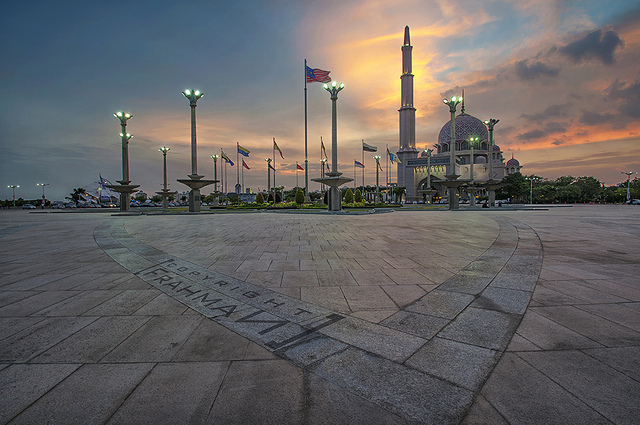 In short, the Malaysian decision to claim a Muslim copyright for “Allah” is grossly wrong. It is both un-Islamic and irrational. And it only reveals the burning lack of intellectual self-confidence among Muslims, not just in Malaysia, but also elsewhere. Why, otherwise, does the slightest chance of “the propagation of other religions” provoke so much fear – and so much compulsion? This article first appeared in Hurriyet Daily News, a leading Turkish daily. Click here to go to the original. Previous Is China-Iran Clash Inevitable? Next How Reliable is FAO’s Data on Global Hunger?